It’s that time of year again! November 1st kicks off National Blog Posting Month (NaBloPoMo) where the goal is to write a blog post every day for an entire month. I always love using it as a way to kickstart my content creativity, especially if I’ve been lagging in the previous months. So buckle up, because it’s about to get content-heavy here the next 30 days! 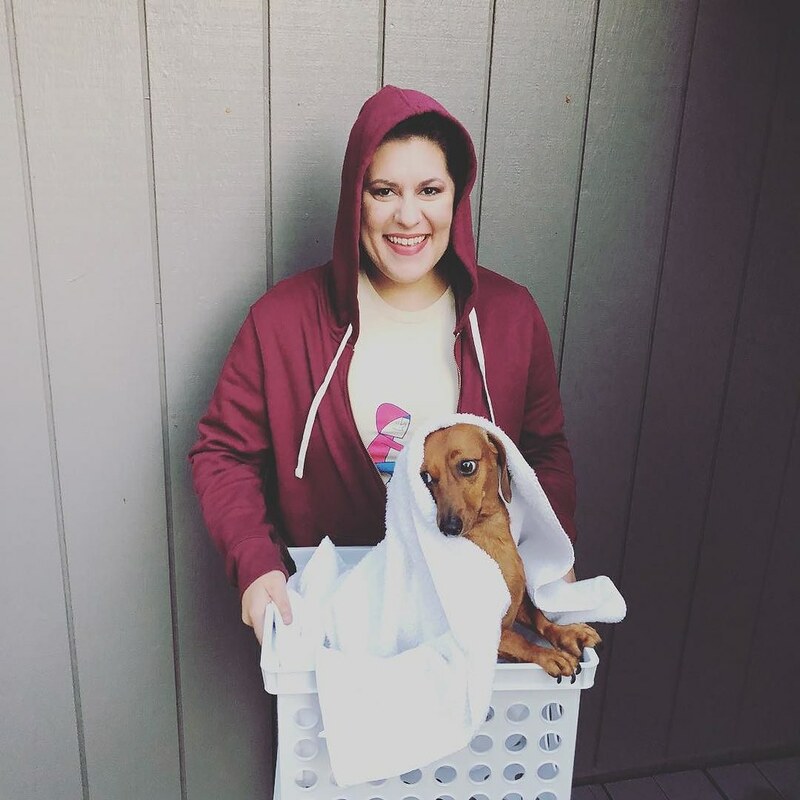 This year I went as Elliott with Mr. Big as E.T. the Extra-Terrestrial. When I went to work, I dressed up my stuffed Yoda as E.T. by taping a mask to his face since it would have been a hassle to bring Mr. Big. I had a love/hate relationship with E.T. as a kid because he both terrified and fascinated me. To this day I can pinpoint what scenes made me hide under a blanket as a kid, and even now as an adult I am wary when I Google Image Search E.T. 🙈. But overall the movie has a special place in my heart. My mom was the one who got me into E.T. so naturally I got various E.T. merchandise over the years, most of it way more cuter than the real E.T. itself. One of which is this shirt, which I no longer have (don’t remember what happened to it). I got a notification a few months back that it was pinned which is how I stumbled upon the This Is Your Alien project and ultimately found this shirt. I bought one and decided I would go as Elliott/E.T. for Halloween. A month later I picked up a red hoodie from Old Navy and was all set! Aside from dressing up it was just another normal day. After work I met Joshua (Dani and Bobby stopped by too) at our new house where we continued to prep for painting (more on that in another post). Since it was Halloween, I got a little taste of what to expect in my new neighborhood, and I have trick-or-treaters again! 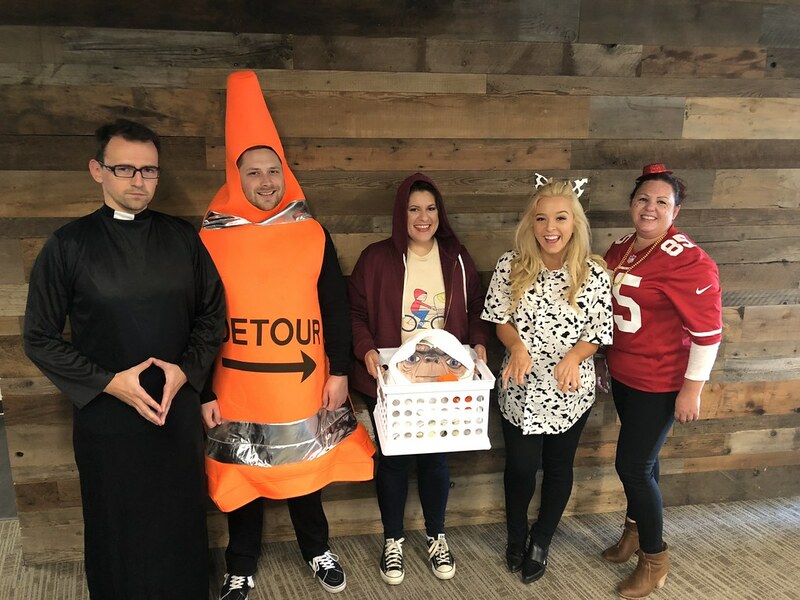 Our realtor gave us a bucket of Halloween candy, so Dani and I got to hand out candy and meet some of our new neighbors. Low-key but great Halloween this year!